It's going to be a great week! I can feel it! 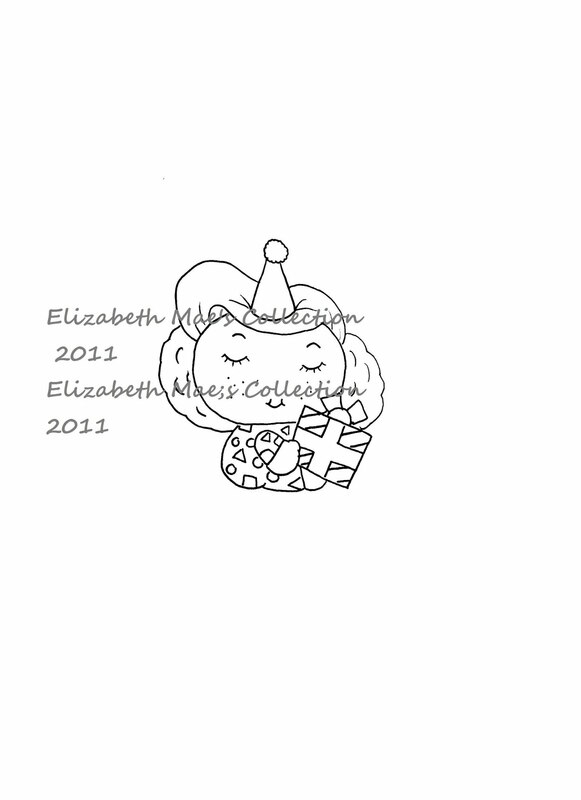 I am starting out with a birthday card that I made for the new design team I was asked to be a part of: Elizabeth Mae's. Yeah! DeNetra has the cutest images and some fabulous ideas of how to use them and it's her birthday tomorrow! Happy Birthday DeNetra! ***Read below for special discount she is offering in honor of her birthday! *** The second challenge for this brand new company is birthday themed and you can join in with a card, scrap page, altered item, etc. for a chance to win two digital images of your choice. My card uses Birthday Emma from the "Hello Darlings" collection. A confession: I may have added "wings" instead of hair but any chance I can glitter up something I am taking. :-) Or maybe I have been watching too much "True Blood" and have become en captivated with faeries. I also made her a blonde to match. ;-) Go Sookie! So Adorable!!!! Congrats on the new DT! This is a cutie for sure!!!! Congratulations on your new DT Amy and what a super card a beautiful image, colours and design I love it. What a cute birthday card!! Love the graph paper and the stitching! Thanks for joining us at Frosted Designs this week for our circle challenge!! What a cute cute card Amy! Love it! What a fun card. I just love the pink gems. thank you so much for sharing it with us at 4 Crafty Chicks. This is just adorable in every way! Thanks for sharing your wonderful work with us this week at Frosted Designs. Darling card! I love the stitching on it! Thanks for taking on our circles challenge at Frosted Designs this week!